So it’s time for the NCAA spring tournaments. For those who don’t know, NCAA stands for the National Collegiate Athletic Association, which is the athletic arm of colleges all over the country. That of course begs the question “Erik, why do I care? Malden doesn’t have a college.” While this is true, Malden does have sons and daughters playing in NCAA tournaments. 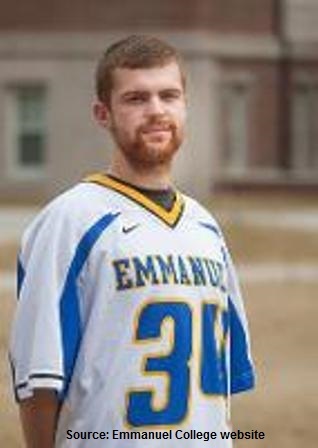 Dom Roberto, who was the 2010 captain of the Malden Catholic Lancers boy’s lacrosse team and a Boston Globe 2009-2010 Catholic Conference All-Scholastic, will play for his Springfield Pride when they host Western New England at home at Springfield College in Springfield MA on May 7th. Roberto is a Senior Midfielder with 11 goals and 5 assists this season, standing 5’9” and majoring in Sports Management. Springfield is making its sixteenth NCAA tournament appearance after capturing the NEWMAC conference championship on Saturday May 3rd. Springfield was ranked 15th in the country going into the season.